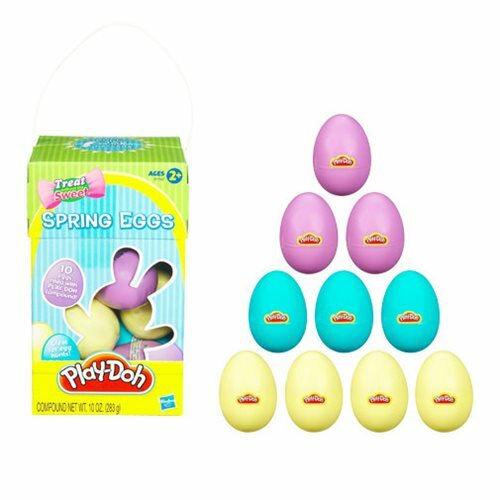 Celebrate spring with the Play-Doh Spring Eggs - Color May Vary! Each Easter-themed set includes 10 eggs with surprise colors inside, and you can mold the modeling compound to your imagination. Each egg has 1 ounce of Play-Doh modeling compound. Box contains 10 total ounces of Play-Doh modeling compound. Ages 2 and up. Not to be taken internally.